I like a lot of older music quite simply because there is just more of it than newer, more hip music. There is more of it to explore. I’ll get to the new music eventually but by then, it will become old. Every day, a song gets older and it just exists in the ether until the next time it is enjoyed. Some of these songs are wildly successful and become part of the public consciousness. For example, what is a professional sports event without Queen’s “We Will Rock You” or “Rock & Roll Pt. 2” by Gary Glitter? Whenever I listen to someone long gone like Jimi Hendrix, part of them doesn’t seem real because they’ve been so far removed from the present day. Especially when our society places such historical value on them as well. However, most songs don’t get that kind of status. They’re enjoyed less frequently, but it doesn’t make them less valuable. It just makes that song even more special. It always blows my mind when I come across a really great song that was released during my lifetime, yet I didn’t know it at all. The iconic classic tracks almost seem beyond our lifetime as if they existed throughout the ages and were crafted by giants among men. So, when I hear something from 20 years ago for the first time that is brilliant on all levels, my mind is blown. I’m left wondering why such a song wasn’t more popular. Why is it not everywhere today like all of the other great songs? Why aren’t people listening? Then, it comes to me. These guys are still alive doing their own thing and their own thing is to not to be so prominent on all fronts. Again, it’s the near social anonymity that makes these songs absolute true treasures. 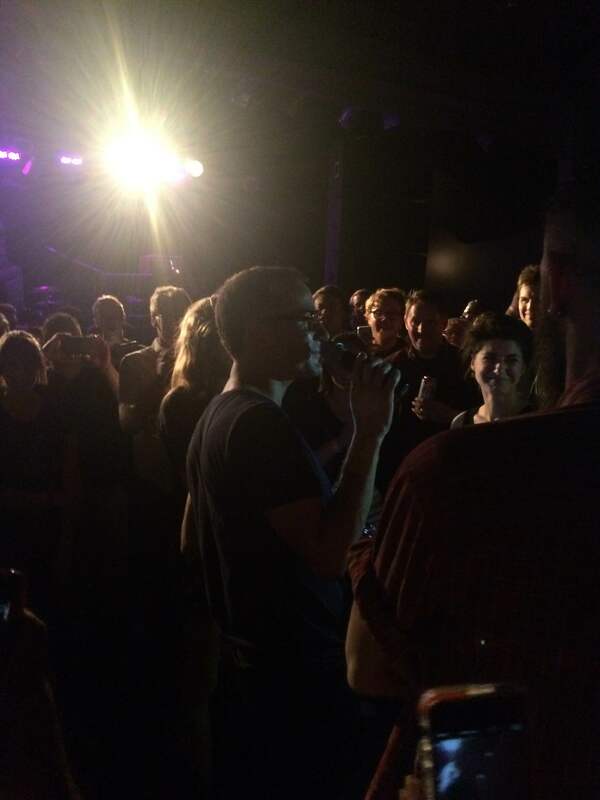 The Rentals is a band that doesn’t strive towards mass popularity. It is a side project fronted by Weezer bassist Matt Sharp. Weezer is a band that has been wildly successful for almost a quarter of a century, so Sharp doesn’t need that kind of affirmation elsewhere. The Rentals can afford to be the cool art project that has esoteric appeal. 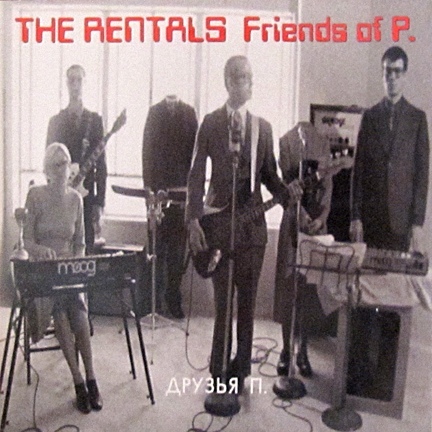 “Friends of P.” has the appeal of a great 90s pop radio song, but with some added artistic elements that make it just offbeat enough to be truly alternative. Two moog synthesizers create mellow drones throughout while the catchy “hoo, hoo, hoo” chorus is juxtaposed over the music. Sharp’s talking vocals also add to the track by sounding a little disconnected. This distant stylistic approach elevates the chorus and makes the female backing vocals more jovial by comparison. The song is telling you when to chill and when to dance. Even the black-and-white video is a trip with the band wearing dated clothes and remaining non-committal with their rigid presence. And the Cyrillic lettering? Does it matter why it is there? No. Just enjoy the ride. I heard “Friends of P.” for the first time earlier this year and on Saturday, I went to their show at the Bottom Lounge in Chicago. My girlfriend is a fan and I had free tickets. I really didn’t know any of their songs, but I thought it would be fun. I was surprised by how cool the show was. The band sounded great and Sharp has an excellent stage presence. At several points, he was even walking through the crowd while singing. I was thinking how crazy it was this rock star from one of the biggest bands of the last 20 years was just walking around like it wasn’t a big deal (and it wasn’t). Many rock stars can be afraid of their own fame because of the crazies in the audience, but not Sharp. Even while closing out the set with “Friends of P.”, the band stopped to play the “Ghostbusters” theme complete with Sharp running through the audience in full dress and a proton pack while getting chased by the Stay Puft Marshmallow Man. The personal connection and intimacy with the audience was so radiant. Totally cool. Sometimes when you think you’ve heard it all, you’re reminded how much more there still is out there. And it can be surprising when one of those discoveries is younger than you. Take a step off the beaten path and avoid the over-popular, antiseptic aspects of life. Sometimes, you might find something hidden that can make a more personal impact. This entry was tagged bottom lounge, chicago, friends of p., matt sharp, music, rentals, the rentals, weezer. Bookmark the permalink.